Exfoliates and purifies the skin. 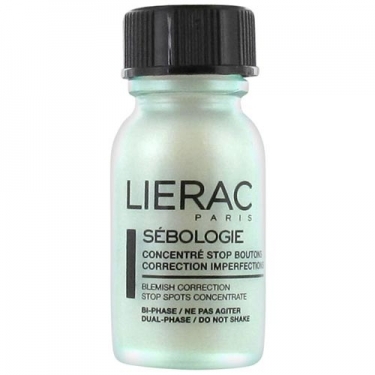 DESCRIPTION: Sébologie Concentré Stop Boutons from Lierac is an intensive concentrate that helps to fight skin imperfections locally. Fights pimples, residual marks and imperfections. 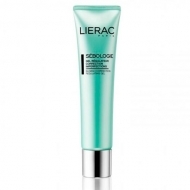 Exfoliates, stimulates and balances cellular renewal. 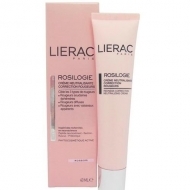 Purifies the skin without drying out. Ideal for oily, acne-prone skin. 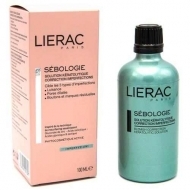 Intensive concentrate, with zinc gluconate and salicylic acid, for a regulating, astringent, keratolytic and equilibrating sebum action. The imperfections are corrected: the bubbles and marks disappear. Dip a cotton swab into the vial to the powder and apply directly to the area of the imperfection to be corrected.